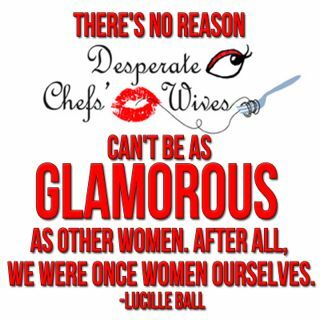 Desperate Chefs' Wives: Burn Out! As you all know chefs endure some of the most gruesome working conditions. They work 25 hours a day, 7 days a week, with little or no breaks. They are forced to work at light speed to put out immaculate food piping hot to hundreds of diners each night. In the rush of dinner service it's inevitable that even the most seasoned chefs will get a few cuts and burns. While browsing through my picture files I realized I don't have any of my chef's burns or cuts documented. If you've got pictures of nasty or oozing battle scars please email them to me so I can share them with the world. Perhaps you've got a funny story about a wound-please share. Have you ever been burned? I burned the inside of my wrist (no scars thank goodness) while I was dumping a pot of Mexican chicken soup into a bowl. I almost dropped the massive pot. OUUUUCH! I will take pics of his next war wounds, only for DCWs!! 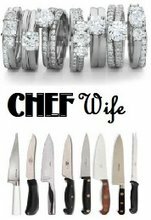 The one mark that really classifies my lover as a chef would be the callous he has where his index finger meets his palm from holding his knife. That callous gets especially swollen during busy weeks, like Valentine's. The rest of his cuts and burns, he doesn't even know when they've showed up! It's gotten better over the years (maybe chef has smartened up and gotten less cocky in the kitchen???) 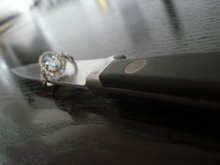 but when we first got married he was constantly covered in disgusting scabs and wounds. He also once stupidly stuck his hand in a slow mixer that was kneading dough...landed him in the ER but nothing too serious, thankfully.